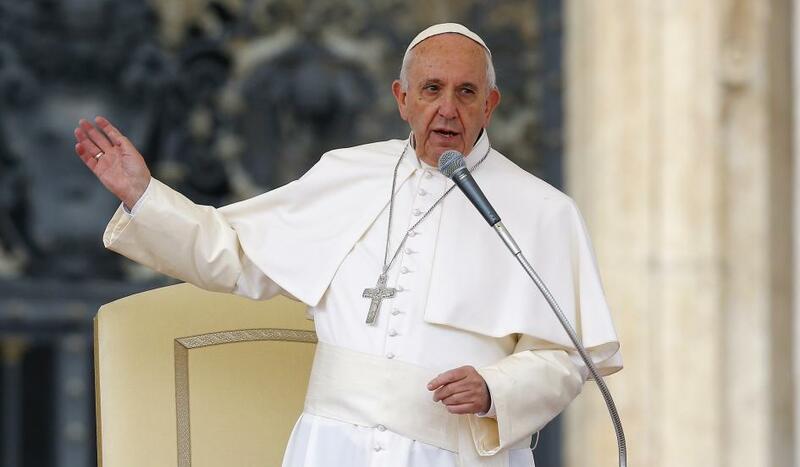 Pope Francis: Which Ecumenism? Pope Francis, what is his idea of Church? Pope Francis’ Reform: How Will the New Dicasteries be Designed? Bishop Joseph Kalathiparambil, Secretary of the Pontifical Council for the Pastoral Care of Migrants and Itinerants, was appointed Archbishop of Verapoly on October 31. The appointment is another step in the path that will lead to the merging of four Vatican dicasteries into the Dicastery for the Service of Integral Human Development. Following how this new dicastery is being designed is important in order to understand how Pope Francis’s curia reform is taking place. Another new dicastery, for Laity, Family and Life, is already active, but there are more intense discussions involved in tailoring the dicastery for the Service of the Integral Human Development. Many meetings are taking place during these days, and they involve heads of the dicasteries, consultors and external experts. The meetings are assisted by a facilitator, and up to now a large folder of proposals has been produced. But nothing has been completely decided. At the moment, there are just two things that are certain. 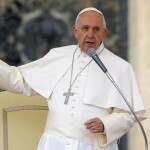 First, Pope Francis wants to undertake ad tempus the helm of the office that will take care of the issue of migration. Archbishop Silvano Maria Tomasi, Secretary of the Pontifical Council for Justice and Peace, and one of the participants in the meetings, explained in an interview with ACI Stampa that “Pope Francis made the decision spontaneously to pay particular attention to this topic. With this choice, the Pope wants to follow-up in a concrete way on the two great gestures of his pontificate: the first trip of his pontificate, which was to Lampedusa, and the visit to Lesvos”. However, this decision leaves some issues open. It is true that popes have already served in the past as ad interim prefects of congregations, but they have never headed an office within a congregation which is led by a Cardinal. It is important to find a balance, as the pope cannot be under any prefect. The second thing that is certain is that the prefect of the new dicastery will be Cardinal Peter Turkson, currently President of the Pontifical Council for Justice and Peace. There could not be any other choice. Out of the four pontifical councils to be merged – Justice and Peace, Migrants, Health Care Workers and Cor Unum – Cardinal Turkson was the only president actively in charge with the exception of Cardinal Antonio Maria Vegliò, President of the Pontifical Council for Migrants. However, Cardinal Vegliò is 77 meaning that he already passed by two years the age limit of 75, and so he should retire. Cor Unum is without a president since Cardinal Robert Sarah was appointed Prefect of the Congregation for Divine Worship, while the Pontifical Council for Health Care Workers is without a president since Archbishop Zygmunt Zimowski passed away after being sick. Cardinal Turkson is then the man with the connection. He already spoke twice with the Pope about the new dicasteries, putting proposals and ideas on the table that came out of the meetings, together with some concerns. For example, Pope Francis wants this new dicastery to be a workshop of ideas. But should this be done, since many of these dicasteries deal mostly with pastoral issues? Archbishop Tomasi also explained that the name of the new dicastery means, in the end, that there is no dicastery that absorbs the other, and that the new dicastery is not an outcome of a merging of several offices: all issues are equal, and they must be carried forward together. In fact, the name of the new dicastery was a surprise to many. After many fast and loose attempts – the dicastery was called at first Justice, Peace and Charity; then Charity, Justice and Peace; then Justice, Peace and Migrants – and a wide discussion about the fact that charity was not emphasized enough in the concept’ of the new dicastery, the final name given was “Dicastery for Service to Charity.” This name, too, was changed at the very last moment, and nobody knows who suggested to the Pope to do so. Perhaps, the idea came directly by those who brought about Pope Francis’s diplomatic shift: the Pope switched from “sustainable development” (the controversial UN language, used in the Laudato Si) to “integral human development,” a notion very much present in his September 25, 2015 speech to the UN in New York. However, the same label of integral human development leaves many issues open. If the concept is considered in a sociological sense, it certainly amounts to less than themes like “Justice,” “Peace” and “Charity”. If it is considered in a theological sense – that is: Jesus Christ is the integral human development to whom every human being should tend – then why not including in the new dicastery themes like culture, education and sport, all part of the social teaching of the Church, and all means for achieving integral human development? The discussion reveals a basic issue that is, in the end, one of the major issues of Pope Francis’s pontificate: sociological themes apparently supersede theological themes. This is an outcome of the notion that “realities are bigger than ideas,” one of the four working principles behind “Evangelii Gaudium”. In following this concept, Pope Francis is pushed to act in a pragmatic way, with a scale of priority that first deals with concrete issues and only after with a rationale behind them. Archbishop Marcello Semeraro, Bishop of Albano and Secretary of the Council of Cardinals, explained this point in a recent article in “Il Regno,” am Italian Catholic magazine with much circulation among Vatican specialists. Bishop Semeraro stressed that the reform is being carried forward while things are done according to the papal will, without setting in advance a theological and juridical framework, but rather adjusting it according to the outcomes. This change of perspective brought about a series of trials and errors. For example, after three years, the reform of the economy seems to have reverted back to the starting point, whereby the Secretariat for the Economy has similar powers – plus something more – to those of the Prefecture for Economic Affairs, which was already reformed in 2012 to become a sort of modern “ministry of finances.” Actually, now Cardinal George Pell, Prefect of the Secretariat, is strengthened, as his powers are now clear. The reform of communications, at the moment, consists more in a (needed) rationalization of resources, with a new content hub portal that Msgr. Dario Edoardo Viganò, Prefect of the Secretariat for Communications, presented to Vatican Radio last week. Beyond seeking a greater coordination among media departments, contents have not been discussed yet, while the merging of the dicasteries creates some juridical problems (for example: who oversees the rights of the Pope’s books and speeches?). However, the Secretariat for Communications includes a “pastoral-theological” section, and this can be a model for a similar initiative within the Dicastery for the Service of Integral Human Development. It seems at the moment that there will be a commission of theologians (they should be three) to study how to design the new dicastery. The possible establishment of a commission of theologians is noteworthy. Until now, curial reform was carried forward with merely pragmatic – almost functionalist – criteria. Even in structuring and designing new dicasteries, the need to streamline the Curia superseded the need to streamline it along the lines of a shared theological rationale. This will be the first time in this pontificate that theology should have some weight in the reforming process. This could be considered backtracking by Pope Francis. It is not the first time. On many issues, the Pope goes by trial and error, and curia reform is one of the concerns that he approaches in this way. For example: on immigration, he praised and invited a prudent management of the immigration issue during his press conference on the flight back from Sweden, while over the past years, he always stressed the importance of building bridges and not walls – words that were read as an opening to indiscriminate immigration. As far as the government of the Church is concerned, the Pope initially appointed a Council of Cardinals with no representative from the Secretariat of State, but he later included Cardinal Parolin on the Council, though without issuing any document that made this inclusion official. The Secretariat of State deserves another thought. Pre-Conclave meetings gave Pope Francis the mandate to streamline the Curia, and the Secretariat of State was also supposed to be reformed. In the end, it was the only curial body never to be put up for discussion. All of these clues indicate that there is still a lot of work to do. There is great curiosity concerning the upcoming Message for the World Day of Peace that will be the first product of the new dicastery. The Message is delivered on January 1, which will also be the launch day of the new dicastery. And there is a lot of curiosity about how the new dicastery will relate with Caritas Internationalis. Caritas Internationalis’s reformed statutes put the large organization that works as an umbrella for Catholic Charities all over the world under the direction of the Pontifical Council Cor Unum. It was Benedict XVI’s choice, and it was part of a reform of charity that aimed at giving a common basis and theology to Catholic Charities. Caritas Internationalis had been taking part in social forums that included among its associates also pro-abortion organizations. Now this common direction could give way to a new pragmatic “decentralization,” with greater autonomy for local Catholic Charities. It could hardly be anything else, if we think that the once discarded Social Forum is back in the form of the Popular Movements. Pope Francis met with them on November 5 for the third time in his pontificate, and gave them his manifesto “land, housing, jobs” that is in the end Pope Francis’s social agenda. How the new dicastery will relate with Caritas Internationalis is yet to be seen. Some even think that Caritas Internationalis’s statutes will be adjusted, and that these adjustments will go beyond concern limited to the name change of the dicastery. In the end, Pope Francis’s reforms leave more questions open than provide solutions. There are many ideas – the new dicastery for Integral Human Development should also launch an International Forum of Catholic NGOs that has been discussed for years – but none of these ideas are actually designed to be put into practice. The final impression is that Pope Francis is not interested that much in the reform of the Curia. To him, this reform must be intended merely as a drastic reduction of curial offices. The reform he is more interested in is that of the profile of bishops, while the most listened to counsellors are those who come from the diplomatic environment. For this reason, it is nonsense to think about any changes in the upper-echelons of the Curia. Pope Francis does not need to demote anyone. He simply bypasses the regular channels.